IOWA CITY – Senior defensive back Desmond King has been named to the 2016 Jim Thorpe Award watch list. The Jim Thorpe Award is presented to the nation’s top defensive back each season. King won the award last season, beating out 38 other contestants. The senior started all 14 games in Iowa’s 10-2 season, tying the Iowa single-season record for starts and was No. 2 in the country with eight interceptions. 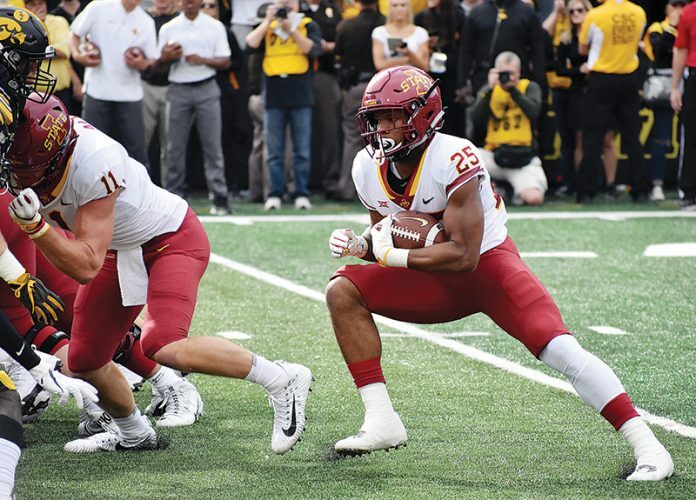 While recording 72 tackles and a team-best 13 pass breakups, King also handled the punt and kickoff returns in 2015 for the Hawkeyes, averaging 14.2 yard on punt returns and 24.4 yards on kickoffs. A unanimous selection as an All-American, Jim Thorpe Award winner and Jack Tatum Award winner were just among the top accolades King garnered in the 2015 season. King has also been nominated to the Bednarik Award watch list and Nagurski Trophy watch list. Athlon Sports listed King as a first-team, All-American and all-Big Ten player in its preseason rankings. The final awards presentation will be Dec. 8 on ESPN and the Jim Thorpe Award presentation Iowa opens the 2016 season at home against Miami, Ohio, at home.